Travelling the country in our 49 Feet of Fun! 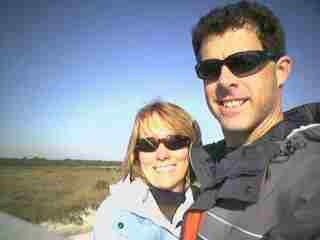 In 2004 we had the opportunity to take time off of work and travel the country in our RV. This trek across America prompted us to create our first weblog of our adventures. Since we have hopes of taking more time off to see more of this huge and beautiful country of ours, we started up this website. Our RV is an Itasca Spirit, 29'6" and we tow our Honda Element behind which carries all of our toys - 2 kayaks, 2 mountain bikes, 2 road bikes. Please feel free to check on our website periodically to keep up with our future travels, and please feel free to contact us with your recommendations or questions. Our best adventures are usually the ones recommended to us. 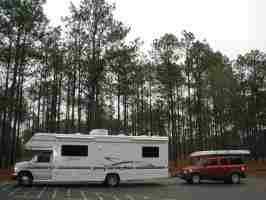 And if there is an area of the country, a park, or some aspect of RVing that you have questions regarding, just fire away.